Moses went up the mountain and came down with the Ten Commandments. Jesus went up the mountain and proclaimed the Beatitudes. The Mosaic Law was a series of prohibitions and interdictions. Jesus had but one command and it is not a prohibition but an inspiration: LOVE. The Mosaic Law was mostly about punishment, retribution and death. 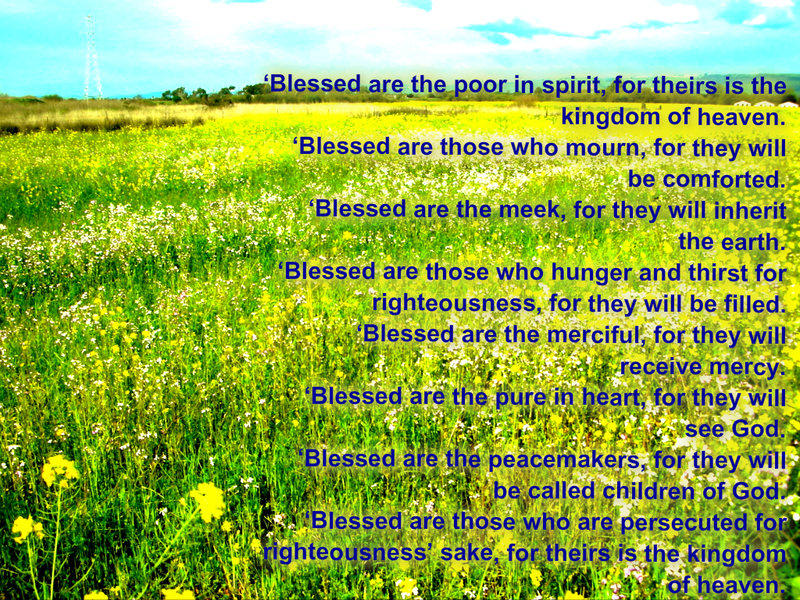 Christ’s Beatitudes are about blessings, redemption and life. St. Paul called the ministry of Moses the ministry of condemnation and the ministry of Jesus the ministry of righteousness. This entry was posted in Discipleship, Life, Love and tagged Blessings, Doing good. Bookmark the permalink.